Wednesday update: Northern Illinois' Rod Carey will likely be the frontrunner. 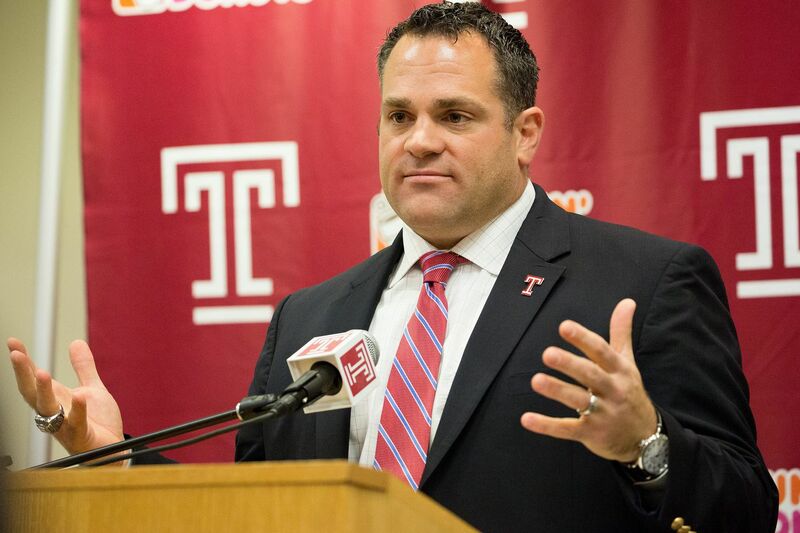 A source on Tuesday said that Temple could be deciding on its football coach by this weekend. It’s possible that the official announcement could come next week, but the source says it has been narrowed down to a core group. Who that group is remains a mystery, although some candidates are surfacing. On Tuesday, Bruce Feldman, one of the most respected college football reporters, tweeted that Temple had interviewed Wisconsin offensive coordinator Joe Rudolph for the job. ESPN’s Adam Rittenberg also mentioned Eastern Michigan head coach Chris Creighton as a candidate. On Sunday, The Inquirer and Daily News reported that Temple has contacted Northern Illinois head coach Rod Carey. Temple has been searching for a head coach since Dec. 30 when Manny Diaz resigned after less than three weeks to take the head coaching job at Miami, where he had been the defensive coordinator. Diaz had been hired to replace Geoff Collins on Dec. 12 and was announced as the coach the next day. Temple hopes to have a coach in place by the time the students return for the spring semester. The first day of class is on Monday.